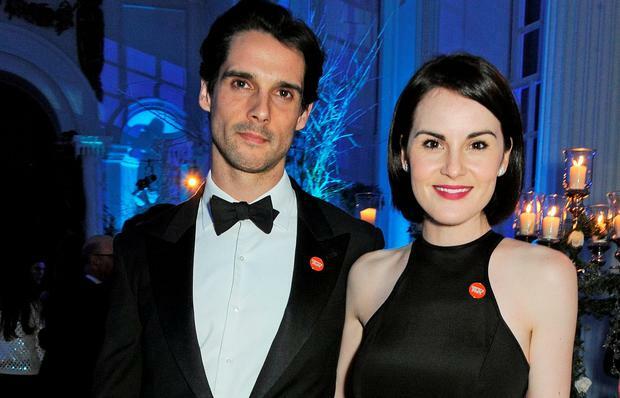 John Dineen (L) and Michelle Dockery attend the Winter Whites Gala in aid of Centrepoint at Kensington Palace on November 26, 2013 in London, England. 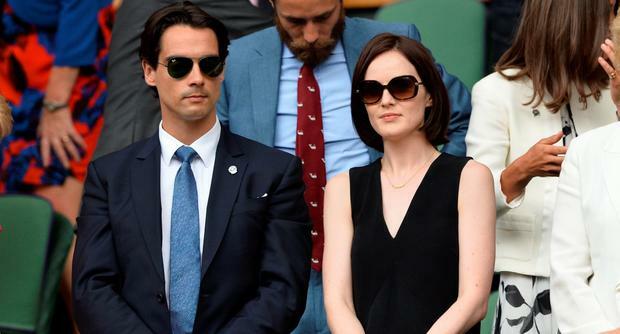 Heartbroken Downton Abbey star Michelle Dockery is preparing to bid a heartbreaking farewell to her fiance today after spending her birthday making preparations for his funeral. The Globe Globe winning actress flew to Ireland last week to be by her fiancé’s side in his last days. John Dineen, from Cork, was diagnosed with a rare form of cancer earlier this year and Dockery (34) was with John and his family in his final moments on Sunday morning. The actress marked a heartbreaking birthday today by making preparations for Mr Dineen's funeral. Mr Dineen had been working as a Senior Director in FTI Consulting in London when he was diagnosed with cancer. He returned home to Ireland to spend time with his family and receive treatment at Marymount Hospice in Cork. He also travelled to Germany for pioneering treatment after his diagnosis. It is understood that the pair were engaged, and they started dating in September 2013 after being introduced by Irish actor Allen Leech, who stars alongside Michelle in the ITV period drama. A requiem funeral mass will be staged tomorrow, with the family appealing for privacy. News of their relationship hit the headlines earlier this year when it was reported that Michelle had been excitedly showing off her diamond ring during screen tests for the popular period drama. The couple, who closely guarded their privacy, never commented publicly on their relationship. In September 2014, Michelle said: “I have a wonderful man in my life from Ireland. We were introduced by Allen Leech. That’s all you need to know.” She even posted selfies on social media of her wearing the Munster rugby jersey. Dineen was raised in Waterfall, Co. Cork and completed his undergraduate studies at University College Cork before completing a Masters in University College Dublin in 2005. Ms Dockery, who played Lady Mary Crawley on the hit tv series, had been on a promotional tour for Downton Abbey in the US, which she cut short in order to be by John’s side. 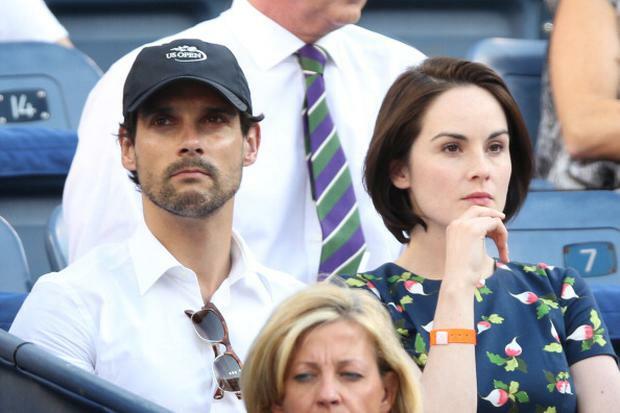 Dockery released a statement to WENN saying: "The family is very grateful for the support and kindness they have received but would kindly request that they are left to grieve in private." The firm's UK head of strategic communications, John Waples, said colleagues were deeply saddened by his death and appealed for the family to be allowed to grieve in private. "John was an immensely valued colleague and friend and will be sorely missed," he said. "Our thoughts are with his fiancee Michelle, his family and friends, as well as our colleagues who were closest to him, and we ask for privacy for his family at this difficult time."